ScopeMeter® 190 Series : All this power in your hand! 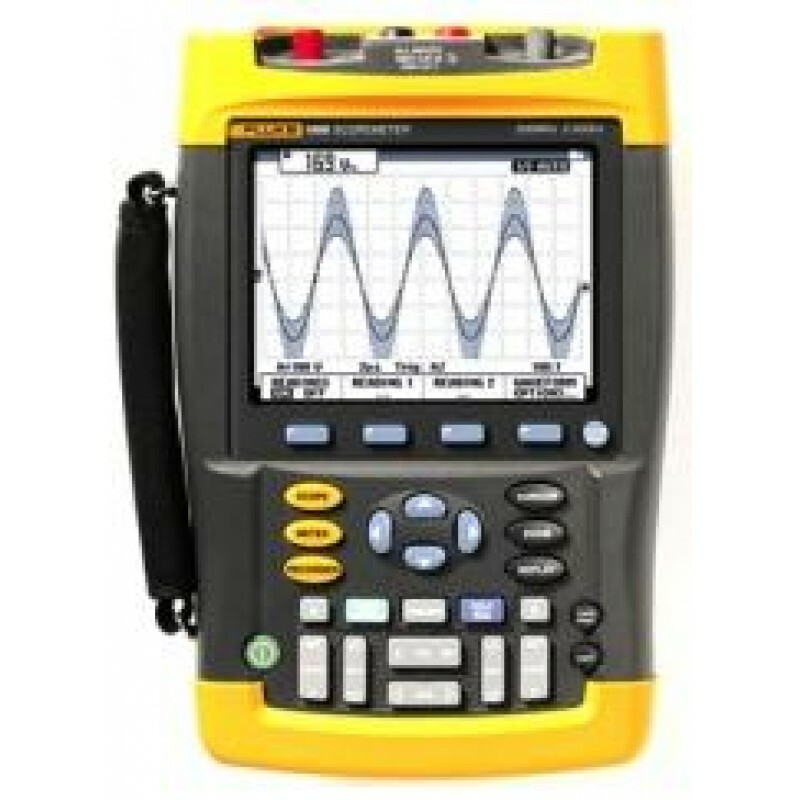 The Fluke 190 Series Medical ScopeMeters are high-performance oscilloscopes for the most demanding applications when servicing medical imaging equipment and video systems. Based upon the Fluke 190B / 190C Series ScopeMeters, the Fluke Medical ScopeMeter offers measurement capabilities optimized for servicing medical equipment in the following modalities: X-ray, MRI, Nuclear Medicine and Ultrasound. Two new modes – ‘n-cycle triggering’ and ‘dual-slope triggering’ – have been added to the Fluke 190C Series to help you isolate the phenomena of interest. N-cycle triggering ensures you get a stable ‘live’ image of a signal, for example, in frequency dividers and clocked (synchronous) digital systems, or to synchronize on bursts of pulses. Dual-slope triggering enables the oscilloscopes to trigger on both rising and falling edges alike. This means that any edge in the signal will act as trigger event and initiate a new waveform acquisition, a most useful capability when making eye-patterns from digital data-streams, or in conjunction with single-shot phenomena.